Pakistan Cricket Board Chairman, Najam Sethi, has been credited with the improvement in Pakistan's standing in world cricket as well as the successful emergence of the Pakistan Super League (PSL) Twenty20 tournament. In an exclusive interview with PakPassion.net, Sethi spoke on a variety of topics including his views on the current state of Pakistan cricket, restoration of international cricket in Pakistan, zero-tolerance by his regime against corruption and indiscipline and the complex issue of Pakistan-India cricket relations. PakPassion.net: Given the current state of Pakistan cricket you must be a satisfied man at the moment? Najam Sethi: I certainly am, as genuinely we see that there is a revival of cricket in this country and you can see the movement forward. There is enthusiasm in the people about Pakistan cricket and the amount of money that is pouring into the game is also there for all to see. We have the step-by-step return of international cricket to Pakistan as well as the success of the Pakistan Super League. The Pakistan cricket team is clicking together based upon the policy of appointing well-qualified foreign coaches in charge and exacting a high-standard from our cricketers and instilling motivation as well as discipline in them. It's all beginning to pay-off and I think we will see a strong Pakistan team emerge from all of this. There will be gaps, but they will be filled up as the team gains experience. PakPassion.net: What do you say to your critics, given all of your achievements? Najam Sethi: My sense is that there is a lot of negativity for the sake of negativity in the media. There seems to be the case that unless the news is negative, no one will read it or pay attention to it, so that’s part of the problem and there is an obvious reluctance to accept any positive indicators. I have been part of the media, so I know what I am talking about. I understand that the pressure on the electronic media is enormous in terms of the number of channels and 24-hour breaking news cycles and so on. We have young reporters under enormous pressure to file stories and there is not enough time to check them. So even a rumour gets attention and between such rumours, fake news and negativity, it's been a very uphill task for some of us who are not used to this. We wanted to do better things for Pakistan cricket, but we don’t have sufficient time to explain our plans to the media. They were left to their own devices and they weren’t particularly supportive, and it was very disappointing and heart-breaking, this cynicism and negativity that one encountered. Having said that, the proof of the pudding is always in the eating of it and nothing succeeds like success. I have been motivated by the fact that I was doing the right thing and I knew we had a good team and we would reach some milestones. I also knew that once that happened, the finger-wagging would stop, and people would acknowledge some realities. I must say that at the end of the day, even the worst critics have acknowledged that there is a new reality that is unfurling, and the PCB has made a huge effort to turn things around. PakPassion.net: Given the good relations with the PCB, you'll be hopeful that the ECB will send a team to Pakistan in future? Najam Sethi: Let me tell you that the ECB has been very supportive regarding the return of international cricket in Pakistan. However, I believe that there are two issues here. The first issue is to do with how busy each side is regardless of whether they are willing to send their teams to Pakistan or not. The Boards have signed-off on the Future Tours Programme (FTP) for the next six years. The first FTP cycle ends next year in 2019 and then a new one starts. So, everything is really built-in and the schedules are already packed for everyone. To squeeze in some new tour will not be that easy. The only way around this is that whenever a home series comes up for us, we need to persuade certain teams to come and play us at home rather than in the UAE. Now, we need to take this step by step. We all know that one small untoward incident in Lahore or Karachi could set us back, that’s how precarious the situation is at the moment. What people don’t see is that the stadiums and hotels have been made secure and the routes as well as the players are secure too. The reality is that if something happens even 200 miles away, it gets picked up by local media and a small headline becomes bigger as the news travels across the oceans, given the earlier perceptions regarding terrorism in our country and so on. The alarm bells start ringing. This creates all manners of problems for us and for us to predict how soon things will become normal, we have to first be able to demonstrate an unbroken record of normalcy, safety and security in the country. I think we are well on our way, but not there yet. Therefore, it will be a step-by-step process with 2-3 matches of a home series being played in Pakistan and once every team has come over and played in Pakistan, then it will be easier for another team to visit us the next time around. PakPassion.net: Zimbabwe, World XI, Sri Lanka and West Indies all came to Pakistan, but people want the likes of England, Australia and New Zealand to follow suit too. What’s the likelihood of that happening? Najam Sethi: Considering how difficult this objective of getting international teams to come to Pakistan was, I set myself a timeline of 5 years for this task. We are now one and half years down that road. In this time, we have had Zimbabwe, Sri Lanka, the World XI and West Indies visit us in Pakistan and we’ve also had PSL players coming to our country. So, you can almost say that most of the world’s top players, barring some notable exceptions, have already played a match or two in Pakistan and my sense is that this trend will continue. We are currently in talks with Australia and New Zealand who have a series coming up with Pakistan in the UAE or Malaysia, as the case may be, in October, November and December of this year. Now, New Zealand, in theory, have said yes, that they will consider our request, provided we think the security is OK. If that is the case, they may play one or two games in Pakistan. But for that to happen, Pakistan has to demonstrate certain things, but we are on that job. The security company nominated by the ICC, Eastern Star International, will come to Pakistan and have another look which is something they do every time an international team wishes to come to Pakistan. They come over and survey the existing arrangements and standard operating procedures to check that all is well. If they are happy, then they send a positive report which creates the necessary conditions for a serious consideration for our request. Then there are other factors that come into play such as family concerns of individual players and so on. So, my feeling is that we are on track. If we can get New Zealand to come and play, then I believe we have a good case to make with Australia who could follow on the heels of their neighbours. If both Australia and New Zealand come to play even one or two games in Pakistan, then by the time it is time for our home series with England, we could persuade them to play in Pakistan too. PakPassion.net: What is the update on the Zimbabwe Tri-Series involving Pakistan and Australia? Najam Sethi: Yes, as far as I know, there is no change in our itinerary. I have asked my staff to check with Zimbabwe Cricket as there have been all sorts of media reports about some issues cropping up within Zimbabwe Cricket. They have rechecked, and they say everything is on track for this series. As far as we are concerned, after the Scotland T20I series, we are scheduled to fly out there probably after going home to Pakistan first. As far as I know, that is the current situation, but we will inform everyone if this situation changes. PakPassion.net: How disappointed were you regarding the smart-watch episode during the Lord’s Test match? Najam Sethi: I was a bit surprised by the whole episode for two reasons. One, was the fact that the players were wearing these devices and two, that no one knew the rules about such watches. Let’s admit it, that the players didn’t know about it, our anti-corruption unit didn’t know about it, our manager was not aware of this rule, our coaches did not know about this either. Let’s be honest about it, the other anti-corruption units that were on watch, and I won’t take names, they must have seen it too but ignored it until it was pointed out and then everybody said, ‘Yes take it off’ and ‘Yes this is part of the rules’ and so on. There has been no severe or strict censure of it, as it was seen as a mistake that can be made. I suppose with new gadgets coming online all the time, this can happen, and one is not entirely sure of what is allowed or not. This episode shouldn’t have happened, but it wasn’t a big deal either and that was the end of the matter. PakPassion.net: Mickey Arthur’s contract is till 2019 World Cup, are you looking to extend it, before someone else snaps him up? Najam Sethi: I suppose you need to ask Mickey if he wishes to extend his stay with us, as this not something one side can decide. I think Mickey is having a good ride and the entire team is doing well in his tenure. One of the coaches is leaving and I am not sure if we will fill that position or one of the existing coaches will take up that position; we will wait to see what Mickey has to say and what he recommends. But as far as Mickey’s contract is concerned, he told me that Mr. Sethi, I am here, and I am taking this team all the way to the World Cup. Then we will cross that bridge when we come to it and I think let’s leave it at that for now. We are very delighted with Mickey’s performance and also the fact that the boys respond well to him. But I must point out that there is also a very good working relationship between the Head Coach, Captain, Inzamam-ul-Haq and the selectors. And let us not forget the selectors as without their support and everybody being on the same page, this team would not have gelled. PakPassion.net: Is the Asia Cup match against India in the UAE still going ahead? Najam Sethi: There has been no change in this decision. The Asia Cup will be played in the UAE, and they are delighted that this is happening. I must tell you that as president of the Asian Cricket Council, Pakistan is playing its role in nominating the UAE as a venue for the Asia Cup. I understand that the BCCI has asked for some clarification from the Union Government on contacts with Pakistan but that is not connected with the Asia Cup. The BCCI position, as far as I know is, that they have no issues in playing against us in multi-lateral context anywhere in the world, except Pakistan. Their position is that they need their government’s position to play us in a bilateral series, anywhere in the world. Of course, we don’t accept that and that’s what the ongoing dispute is about. So, the BCCI, according to media reports, has approached the Union Government to tell them what the formal position is regarding bilateral series against Pakistan. As we know, the BCCI had filed a case in front of the ICC dispute resolution committee saying that they require government permission to play bilateral series against Pakistan which the government has not given. I think now they will be required to show that they had asked for permission and that it was refused. Even if the government says no, the question will be about the legality or legitimacy of the contract with Pakistan which basically says that they have to play the series and there is no mention of government permissions in the contract and so on. So, the BCCI is trying to sort out the permission issue first and then let’s see what happens after that. PakPassion.net: Related to the above, what’s the latest position regarding the MOU case? Najam Sethi: Yes, there is progress, and we are at that stage of the case where both sides submit certain documents in support of their case and also ask the other side to submit documents which they think might help their own case. So, we have asked the BCCI to submit certain documents and they have made a similar request. We have complied as have they but now BCCI are asking for more documents and are also asking for postponements of various deadlines. The ICC Dispute Resolution Committee have indicated that once all documents have been submitted they would like to hold the final hearing in October of this year. The venue of this hearing could be Dubai or London based upon the decision of the ICC Dispute Resolution Committee. PakPassion.net: Are you happy with the PCB’s strong stance towards corruption? Najam Sethi: My advice to those people who are right now out of the national team or are not in national consideration is as follows. When I say that I will not tolerate any cheating or violations of discipline or corruption – I mean it. My approach to this is: It's time we laid down the rules and implemented them. For all five years that I have been in the PCB now, in one form or the other, all I have heard is that if appropriate measures had been taken against a lot of cricketers 10 years ago following Justice Qayyum’s report, maybe we wouldn’t have been in such a bad state. So, first of all, there is no leniency regardless of the fact that you may be the hottest star of the decade. You will have to follow the rules. If you do not follow the rules, we will turn the screws. That is the message I sent across and I think that message has gone across to all. The actions we have taken against match-fixers, spot-fixers and so on and so forth has sent a strong warning to them including to those who had said, we had been approached but there is no point reporting. Well, as you know, we are also taking action against those players too. PakPassion.net: Discipline is the key word at the moment, what's your advice to the likes of Umar Akmal? Najam Sethi: People like Umar Akmal have to understand that discipline is important. As you know, in Pakistan we put a lot of emphasis on the ideas of unity, faith and discipline. We had faith, but unity was missing in the past where we had groupings in the team with coaches on one side and the captain on the other and so on, and so forth. All that has gone now. We are now a united team, but discipline is also important, both in terms of acquiring physical fitness as well as in terms of following instructions and strategies. So, the message in this case is of zero tolerance and nothing else. PakPassion.net: The PCB’s proposal regarding limited players to playing just two T20 leagues includes the PSL as well? 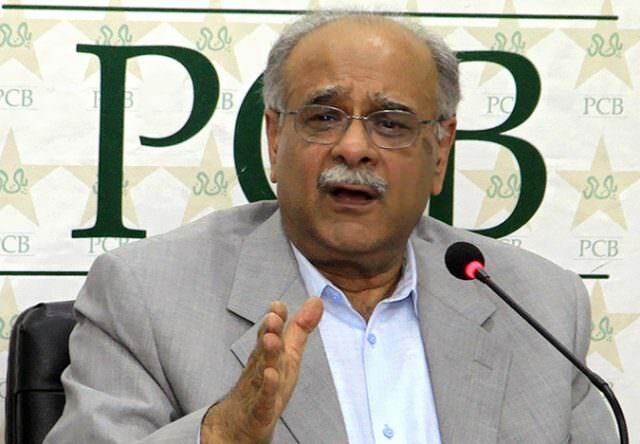 Najam Sethi: Let me start by saying that I am surprised by FICA not criticising countries that refuse NOCs for players to play in T20 leagues without giving any reason apart from national interest. Now, the PCB’s ruling on this is a very flexible arrangement. To be clear, we are not including the PSL in the restriction. So, they are free to play 2 other T20 leagues but these are subject to certain national considerations. For example, if you are not required for national duties and if Mickey Arthur says so, we will give this permission, or he may refuse it saying that a player is slightly injured, or he may aggravate his injury by playing another league. So, we will take all these national considerations into account. Additionally, each person asking for such an NOC should have participated in at least three national tournaments. Domestic cricket is very important, not the least for Test cricket. We cannot give up or discard the solid base we have built-up in our academies and our domestic tournaments. So frankly speaking, this is a very relaxed policy which is there to discourage players from getting up and wanting to go to overseas tournament at the expense of national cricket. Also, the fact is that we are a little apprehensive based upon ICC’s media release in which they expressed concerns over the proliferation of T20 Leagues, especially those that are not sufficiently monitored. Now with the latest disclosures by a television channel about certain match-fixing proposals as well as the agenda of match-fixers who will be targeting such leagues, we all have to be very careful. I will repeat that the PCB rules on league participation are not at the expense of players and its meant for their own protection. It's meant to ensure stability and certainty in the game and it's to protect our national interests. PakPassion.net: Will overseas players who don't want to play in Pakistan be included in the draft for PSL 4? Najam Sethi: In theory, this is more of a question for the franchises. When the drafts happen, the list of players is in front of everyone. The franchises need to be able to talk to those players to ensure that if the team gets into the final, or they end up in a situation where they have to play in Pakistan, the player will oblige. The best we can do is to say in the contract that we sign with the player, that you have to play in Pakistan if the team reaches the final or if their presence is required there for other games in the tournament. But, at the end of the day, there is also a clause in the contract which says that if conditions x, y, z are not met than he can pull out from playing in Pakistan. For example, if a player falls ill or there is birth of his child he can pull out. Alternately, if something bad happens in Pakistan he is free to pull out so there are these clauses or Force Majeures that can come into any contract. Some are stated, and some are unstated and it’s difficult to enforce these. What we can do is to build some conditions in the contracts and supplement them by providing first-class security and arrangements and also ensure that in case if someone drops out, we have an equally good substitute available to fill in that slot who will come to play in Pakistan. So that’s the approach we are taking, and our contracts do say that they will play in Pakistan and they do sign-up but there are lots of ifs-and-buts in there. If we start looking at those then we will get nowhere, so we have to give it a little bit of flexibility to allow for the uncertainty that exists.